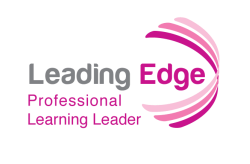 In this section you will re-visit all modules in the Leading Edge Certification for the Professional Learning Leader. You will have the opportunity to reflect on the focus of the course relating to the innovative methods, practices and skills of those who provide learning opportunities to all members of the educational community, and reflect upon your overall experience with this course. In the Professional Learning module you gained an understanding of adult learning by focusing on a variety of theories. You identified the similarities and differences between job-embedded professional learning and traditional professional development as well as increased your knowledge-base on effective multimedia presentation-design. You were also introduced to several framework/standards that can be used to assist in developing professional growth goals and to evaluate educator effectiveness. Next, in Models of Professional Learning, you explored different approaches to the delivery of professional learning and gained an understanding of the affordances and challenges of the different learning environments. The module began by looking at how to make the traditional face to face workshop or training more participatory. We continued with this theme as we explored flipped, blended, and online professional learning. We also learned how a variety of events, communities, and social media tools allow us to expand our Professional Learning Network which provide opportunities for ongoing, self-directed learning. Finally, we will explored some new and exciting low-cost, informal professional learning opportunities. In Developing Community, we provided you with information on building community in the professional learning environment. You examined strategies for building community and fostering collaborative working relationships that will engage the professional learner, and you also selected a toolkit of strategies for your own use as a professional learning leader. 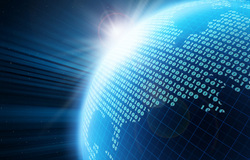 Through Digital Literacy & Citizenship, we focusing on ways in which Professional Learning Leaders model and promote strategies for educators, model and facilitate legal, ethical and proper use of digital information, and demonstrate practices for how to interact with a larger community online. In Developing and Implementing a Vision, you focused on two approaches to developing and implementing a vision. First (and primarily), you considered, developed and implemented your own vision for professional learning. At the same time, you also considered the vision of your primary clientele, and oftentimes, this manifests itself in some way, within one's own vision for professional development. This exciting module helps solidify one's own experiences in professional learning and how that has created the kind of professional learning opportunities you provide. Professional learning leaders are often placed into positions of leadership because they have innate qualities. This module helped articulate the background and research that supports those innate qualities. Ensuring that vision is implemented with integrity was also a goal of this module. Lastly in Professional Learning Environments, you examined the role of the professional learning leader as one who facilitates learning for professional adults in a face to face learning environment. This module was intended for those who host professional learning at a school, district office, or county office where you control the learning space environment. You explored how you can begin to consider your professional learning space as a model of what classrooms can be to meet the needs for specific learning activities. You also explored how space plays a vital role in collaborative and creative learning and the connection between pedagogy and teaching strategies demand that spaces for professional learning be redesigned. What is your overall impression of the LEC Professional Learning Leader coursework? How have you grown as a Professional Learning Leader?